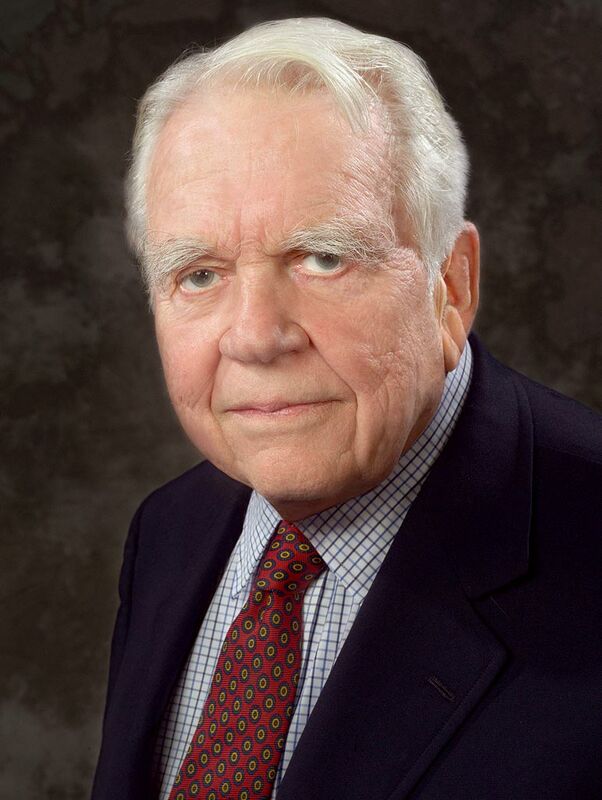 It is tough to imagine 60 Minutes without Andy Rooney. After 33-years of spending a few minutes with us, Rooney will leave the show after tonight’s broadcast. The 92-year-old represents the last of a journalistic era. A World War II reporter who flew with bomber crews over Germany, Rooney was present during radio’s ascension, and relative decline to television. Rooney worked at CBS News during the heyday of Murrow and Cronkite. Bill Paley’s ‘Tiffany Network’ was created in part on the journalistic strength of people like Andy Rooney. I have seen that Andy’s preferred job title is that of writer. He witnessed a lot of history and continues to offer us valuable perspective. Our few minutes with him are up.I have not heard the ‘retirement’ word mentioned. Just in case…. hopefully, he has a long healthy and happy retirement. Posted on October 2, 2011, in Television and tagged broadcasting, cbs, journalism, media, news, Rooney, television, tv. Bookmark the permalink. Leave a comment.